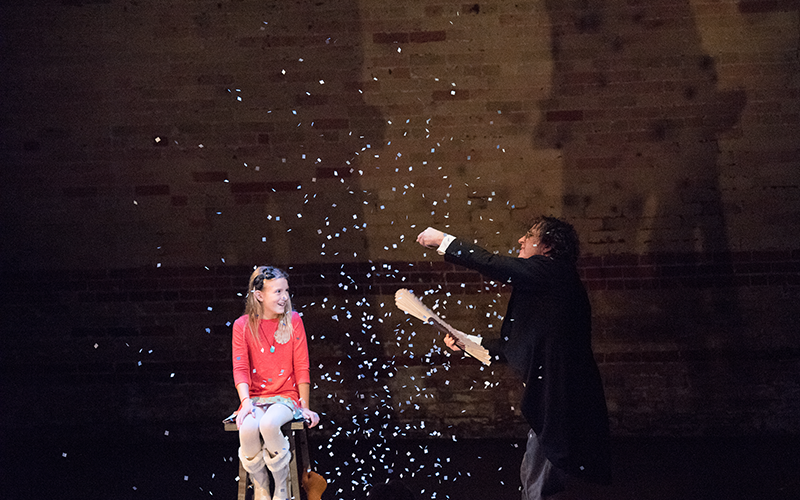 As part of their annual Family Festival, Soulpepper Theatre brings David Ben and Patrick Watson's magical Tricks to the Young Centre this holiday season. Packed with curiosity, wonder and wow, this jam-packed show full of illusions is sure to leave you pondering long after the lights go down. Tricks is exactly what the title suggests - a magic show full of theatrical illusions and magical engagements. Performed by master illusionist David Ben, audiences are invited into his 19th Century-inspired salon. There are no plot developments, character schemes or dramatic insertions, but rather a melange of different illusions requiring concise skill. Ben brings wit, humour and ongoing escape into the wonder of how such feats are accomplished, while at the same time bringing many smiles to audiences young and old. Be advised that the show does require some form of audience interaction. Right from the beginning of the show, Ben pulls us into the beauty and pure wonder of illusion with a head-scratching endeavour that plucks your brain. Whether it's guessing a card, guessing a number, or drinking an unknown substance, don't shy away from these awe-inspiring acts. Without spoiling any of the illusions, participation is what gets you closer to the action and directly involved in the magic. The salon concept behind the design works well at providing a very brief, but successfully accomplished history into the work of illusions. Glenn Davidson's set design is both simple and elegant, catching the eyes while working to displace the eyes of the audience. Cameron Davis' video projections assist in emphasizing the magic on stage, from the historical drafting of illusion instruments right through to the snowballed ending. If you love magic and the wonder that accompanies it, then you'll certainly love Ben and Watson's hour of illusion. Bring the parents and definitely don't forget the kids for a tricky performance of wonder and wow. Tricks plays at the Young Centre for the Performing Arts until Jan. 3. For more information visit soulpepper.ca.